The BBM Digital Editions Membership is an annual online service that grants program members exclusive on-line access to all published issues of balsabuilder “the model builders publication” within our digital archive*. *does not include digital access to our full-size featured plans. The BBM Digital Editions Membership is an annual online service that grants program members exclusive access to archives of all published issues of balsabuilder “the model builders publication”. Members of this program will be able to browse every published issue of balsabuilder directly within the balsabuilder.com website. 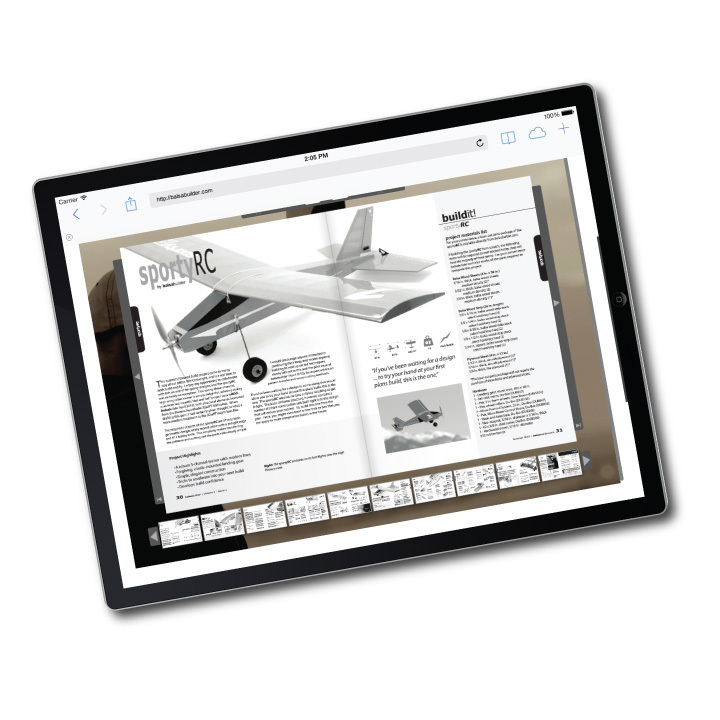 Digital editions of balsabuilder Magazine are presented in an easy to navigate viewer and are compatible with most popular desktop and tablet browsers. The BBM Digital Editions Membership program grants digital viewing and printing permissions for your favorite excerpts direct from the balsabuilder.com website (internet access required). This membership grants online viewing access to all current, future, and back-issues of balsabuilder “the model builders publication” through the balsabuilder.com web site. Convenient annual billing $49.00 only 25 USD! Please note that digital access to our featured published plans is not included within the BBM Digital Editions Membership program. Plans may be purchased separately in print. Your purchase of a BBM Digital Editions Membership offers no guarantee of future publication or publication frequency. Renewals to this program are processed annually and automatically. See our terms and conditions for more details.